People don’t learn boxing to make it big in the ring. There’s another reason and that is to become healthy and fit. Boxing for fitness allows you to get fit fast and you will not be disappointed by the results. Do you need more convincing? 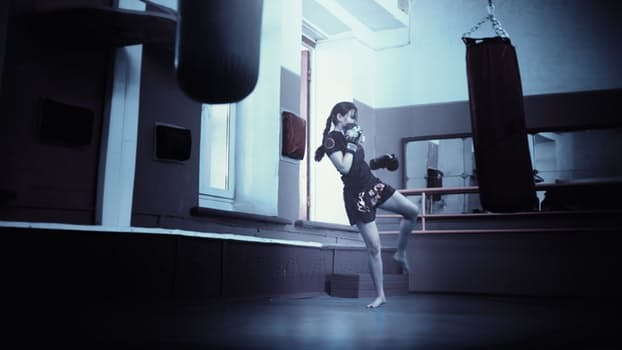 Here are top reasons why boxing classes in Dubai with a qualified trainer will give you the fitness you are looking for. If your day has been awful, nothing will make better than punching that bag. Are you mad at your boss or just angry at the world? Punch the bag and feel the stress disappear. Do you know the best part about boxing? You have a pretty nonchalant bag, it doesn’t punch back. You will feel good once you get all the anger out. Intense exercise releases a feel good chemical to your brain which will put you in a good mood and help you forget your troubles. Boxing does not have the monotony of a regular exercise routine. You don’t have to dread your last set of lunges. Your shoulder muscles and arms build up through hitting heavy bags. It is a phenomenal and intense strength workout session you can have with a boxing trainer. Some boxing classes mix conditioning exercises like push-ups and sit-ups. It is all around fun strength training that you don’t even know you’ve worked out an awesome training session. You want to lose weight fast? Boxing burns calories and you wouldn’t even realize how quickly. You hit the bag for half hour and it can burn up to 175 calories. Boxing helps you shed pounds quickly and in a healthy manner. When you are boxing for fitness it improves bone density. When weight is put on the bones, it is known to increase density. For instance, rock climbers have very dense knuckles. So do boxers for that matter. Although you may not realize the benefit of dense knuckles, it will certainly reveal itself when you are older as it can prevent osteoporosis. Boxing classes in Dubai offers the ultimate killer cardio workout. Within a few minutes it gives you everything, it empties the tank, you take a short break and you can go at it again. Boxing is typically three intense minutes; you take a break for a minute and have to hit the pads again. Boxing is also beneficial to your emotional health. If you are afflicted with anxiety or even depression, it is known to help to you get rid of that aggression and not good feeling which keeps following you around.